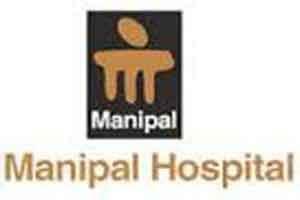 Manipal Hospitals and DaVita Kidney Care have entered into an exclusive pact to provide world-class nephrology services in Bengaluru. Under the joint association, kidney patients in Bengaluru will have seamless access to dialysis centres run by DaVita and the panel of nephrologists from Manipal Hospitals. Corresponding with this news development are the plans of DaVilta to further increase its presence in Bengaluru, with an addition of three dialysis centres in the city. The new clinics will also be included as a part of the pact between the Manipal Hospitals and DaVita, besides the existing three DaVilta dialysis centres in the city. Chronic kidney disease is already prevalent in India, and new cases are emerging in patients suffering from diabetes and hypertension. Today, diabetes and hypertension account for 40-60% of renal failures in India. As reported by the Mint, “With this partnership, patients from MHE will have access to their own nephrologists with out-patient consultation at DaVita and in turn, DaVita’s patients undergoing dialysis will have access to a world-class team of nephrologists and transplant surgeons,” said Sudarshan Ballal, chairman of Manipal Hospitals. Ballal is a senior nephrologist. DaVita Kidney Care is a US based kidney care organisation and is currently operating 17 dialysis and kidney care centres in India. The company also enjoys a massive presence across 11 countries and more than 2,225 locations.